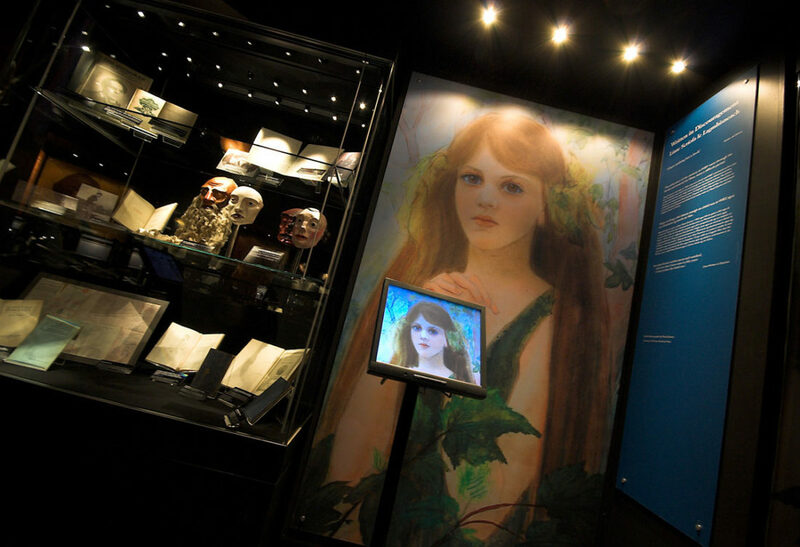 In 2005 the National Library opened its internationally award winning exhibition – The Life and Works of WB Yeats. 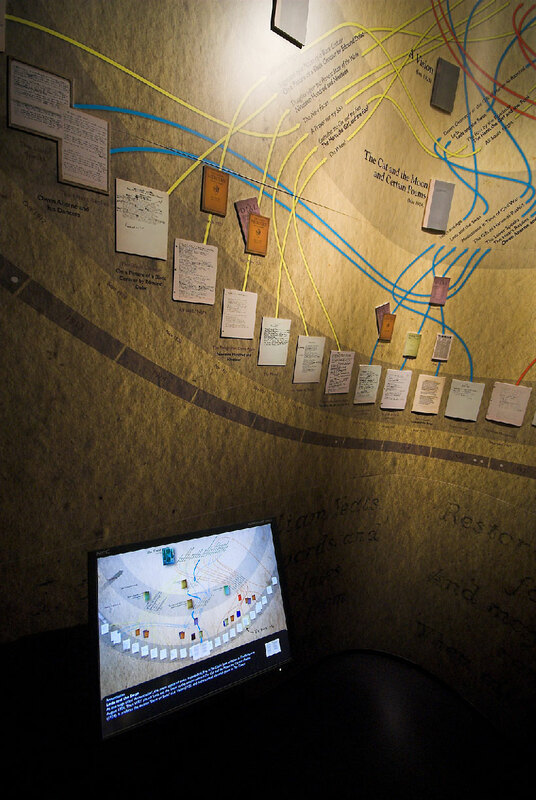 Hundreds of documents throughout the exhibition were interpreted on interactive touchscreens that accompanied each display case. 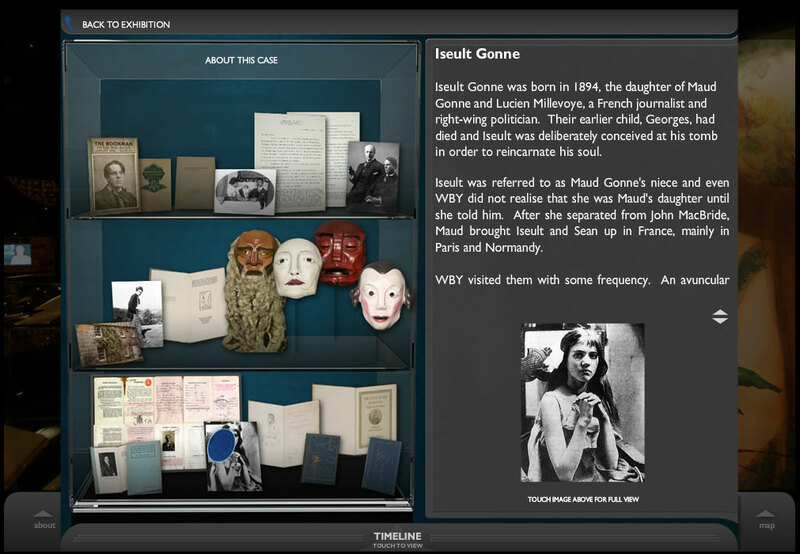 These interactives allowed you to delve deeper into the objects on display and see further documents in context. This model of presentation allowed the library to display thousands of documents that simply could not be displayed in the physical space. In the opening area you can sit down and relax and immerse yourself in readings of some of Yeats’ poems. Specially commissioned photography accompanies the printed word to further stimulate the imagination. 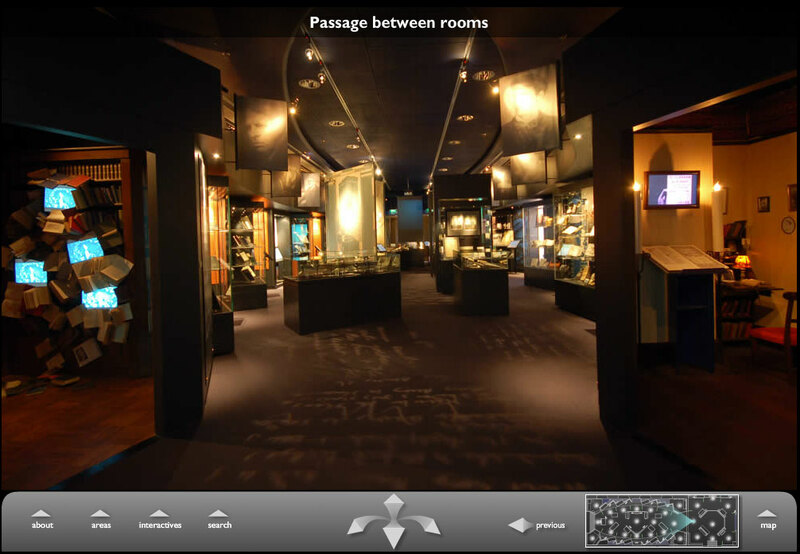 In 2007 the National Library wanted to create an online version of the exhibition. Thought Different designed a virtual walkthrough experience and was able to include all information used in the interactives throughout the exhibition and make them available online. To create the online version we worked with Neo Archaic to create an interactive Flash version online. 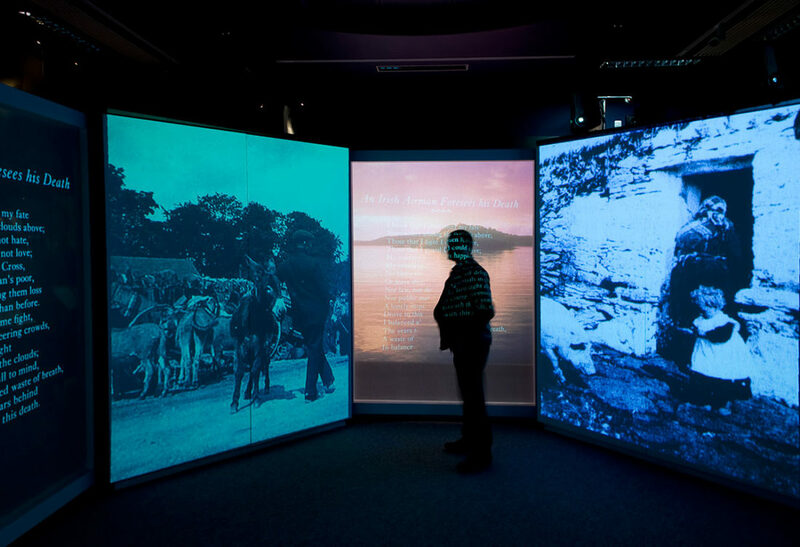 The Yeats exhibit was fantastic, with excellent use of multimedia to bring what could have been a dry subject to life. The Yeats exhibit is fabulous. Lots of information, very interactive & completely interesting! !